Cyn: Will we suffer bullying with silence? Will we lie down and agree that it’s bad to stand out from the crowd? 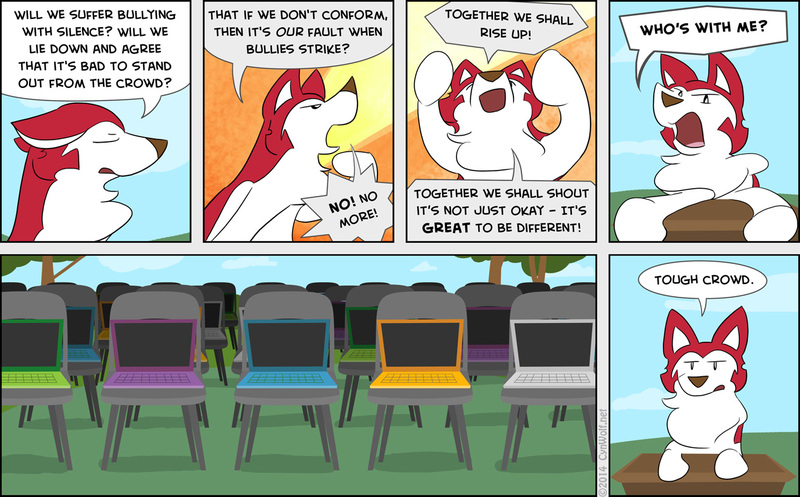 That if we don’t conform, then it’s our fault when bullies strike? No! No more! Together we shall rise up! Together we shall shout it’s not just okay – it’s great to be different!